Home Tags Posts tagged with "xxxtentacion albums"
On June 18, the 20-year-old was leaving a motorcycle dealership when a gunman shot him. 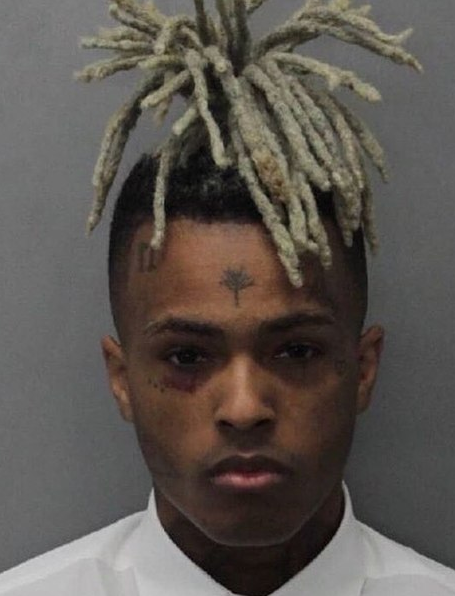 Police in Broward County said the rapper, whose real name is Jahseh Dwayne Onfroy, was taken to hospital where he was pronounced dead. XXXTentacion quickly rose to fame with two consecutive hit albums. He was often described as one of rap’s most controversial artists and was facing domestic violence charges. XXXTentacion, who first found an audience by uploading songs to the website SoundCloud, had been hailed as a breakthrough talent and tributes have been pouring in from hip-hop luminaries in the wake of his death. He was leaving the dealership shortly before 16:00 local time when two men approached him, officials say. At least one of them shot the rapper before both fled the scene in Deerfield Beach, 43 miles north of Miami, in a dark-colored SUV. Investigators said it appeared to have been a “possible robbery”. Video posted on social media apparently showed XXXTentacion slumped in his car. A witness at the scene told TMZ that multiple shots had been fired outside the dealership. Onfroy, whose hit songs include SAD! and Moonlight, quickly rose to prominence following the release of his debut album “17” last August. His follow-up “?” debuted at the top of the Billboard 200 chart in March and has been listened to hundreds of millions of times online. The album tackled subjects such as depression and was praised by some of rap’s highest-profile stars. However, XXXTentacion’s short career was plagued by allegations of domestic violence. The rapper was facing 15 felony charges at the time of his death, including aggravated battery of a pregnant woman.